Content is king. You might have heard about this phrase a lot of times. Content has the power to generate revenues for your business. When you are selling something online, you cannot trust the graphic design to do the work you. You need product descriptions rather than alluring designs! You basically need to hire professional writer to write SEO friendly content for your website. You need a freelance content writer, who can describe the products efficiently. Where to find the best content writers? Contentmart is THE best place to find top quality content. There are more than 62,000 writers on the portal, who are looking for writing projects. They have several years of expertise in the field of writing. Contentmart is a content writing company which works well for both the content buyers and content creators. Today, I have reviewed Contentmart for you! 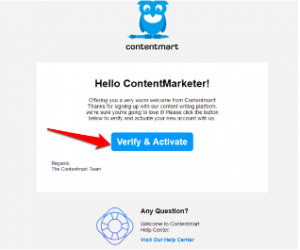 If you are a client, you must read this article to know the benefits of joining Contentmart. You will be glad that you went through this article! Take a quick look and get enlightened! Registration on Contentmart is super easy. You can join as a client. All you need to do is provide your name, birth date, gender, place of residence, etc. You can also sign up with your active Facebook account. It is very easy to join! Once you register, you will get a confirmation mail on your mail address. You need to verify your account to get started! When you cross this stage, it gets easier for you. Its time to place an order! Place your order with EASE! Let us come down to business and place an order. You can place your first order by clicking on the ‘New Order’ tab and start writing the details of the project. Write the order title and describe your order. You can attach word and excel files to the order, in case any additional information is to be attached in the order detail. Explain the project well and you set a deadline for the work. The writers will make sure that they provide you the work before the deadline. 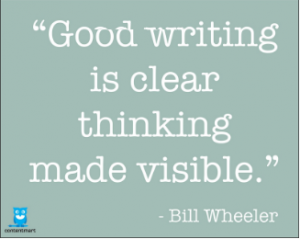 You can choose the expertise and category of writing. Its that easy. Contentmart also offers translation services at the best price! There are hundreds of experienced translators from all over the world, who can translate the text at the most affordable price. It could be French, Spanish, Hindi, Bengali, Marathi, German, etc. Hiring a translator or a freelance content writer is easy on Contentmart.com! Once you post the project, there are many writers who will bid on the project. 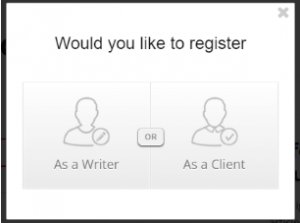 You can quickly review the portfolio of each writer and see their ratings. If a writer is verified, you can trust their work and award them the project. If you find a writer, who has great ratings and reviews, you can award them the project. It is completely your choice! 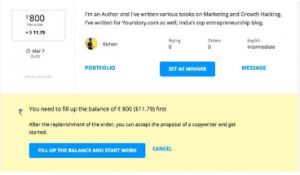 You can go for the handpicked writers, where the Contentmart platform algorithm chooses a writer for you. Contentmart is the finest content writing company in India that gives you the freedom to chat with the writer directly and pay them without any extra charges. In order to pay your writer, you need to add funds to your Contentmart wallet. You should not worry about the payment security because it is completely safe and secure. You can set the price of the project for as low as $5 per 500 words. Once you are satisfied with the content provided by the writer, you need to accept the text and the amount gets deducted from your wallet funds. We believe that Contentmart is doing a great job for writers and clients who need content. It is a great platform to earn and find affordable content for your business. It provides you content writing services at the most reasonable price that you cannot find anywhere else! If you are not happy with the text, it allows you to send it for revision. You will not find these benefits anywhere else! So, choose Contentmart and reap the benefits out of it! 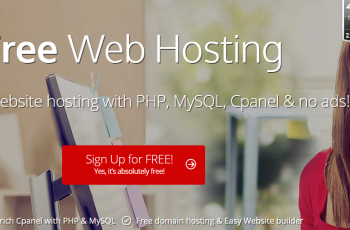 Pingback: Why SQLBak is the Perfect SQL Database Backup & Monitoring Software?